Cortázar’s "Letter to a Young Lady in Paris"
Wilde’s The Picture of Dorian Gray and Poe’s "The Oval Portrait"
Borges’s "Pierre Menard, Author of the Quixote," "Funes, His Memory," and "Death and the Compass"
Saramago’s The History of the Siege of Lisbon and Babel’s "Guy de Maupassant"
Fictional Translators provides stimulating material for reflection not only on the processes associated with translation as an activity that inevitably transforms meaning, but, also, on the common prejudices that have underestimated its productive role in the shaping of identities. 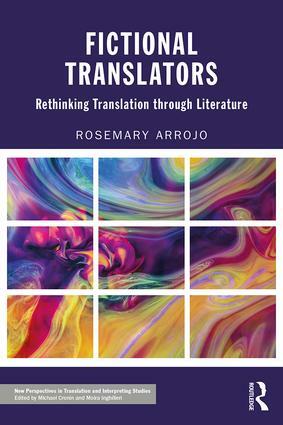 This book is key reading for students and researchers of literary translation, comparative literature and translation theory. 1. The Power of Fiction as Theory: The Exemplarity of Borges’s Work 2. On Translation as Transference: Pierre Menard, Translator of Cervantes 3. Translation as Subversion in Latin American Fiction 4. On Translation as Transference: Borges, Reader of Whitman 5. A Portrait of the Translator as Laborer – Rodolfo Walsh’s "Nota al pie" 6. Writing and Interpreting in Conflict – Kafka, Borges and Kosztolányi 7. The Power of Originals and the Perils of Repetition – Edgar A. Poe’s "The Oval Portrait" 8.Translation and Impropriety— Claude Bleton’s Les nègres du traducteur 9. The Gendering of Translation – Italo Calvino’s If on a Winter’s Night a Traveler and Moacyr Scliar’s "Footnotes" 10. Textual/Sexual Power in José Saramago’s History of the Siege of Lisbon and Isaac Babel’s "Guy de Maupassant"
The aim of New Perspectives in Translation and Interpreting Studies is to publish significant and broadly relevant new books which will make an impact on the development of the discipline. Titles in the series address contemporary themes and issues that reflect the changing nature of translation and interpreting studies today. With an emphasis on innovative and accessible writing, books in the series are key reading for both students and researchers in Translation and Interpreting Studies.